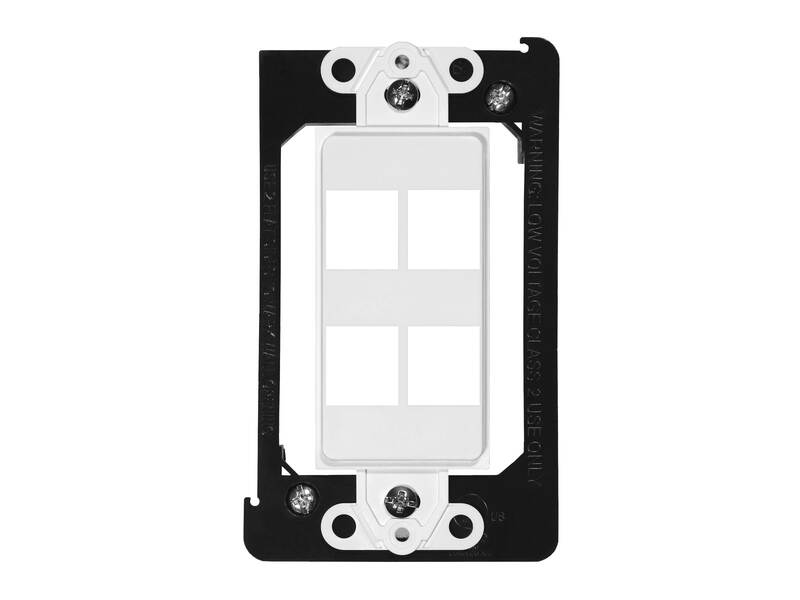 Networx® Decorex faceplate inserts are designed to fit decorex single gang and dual gang wall plates and low voltage caddy frames in both commercial and residential installations supporting data, voice and audio video distribution networks. 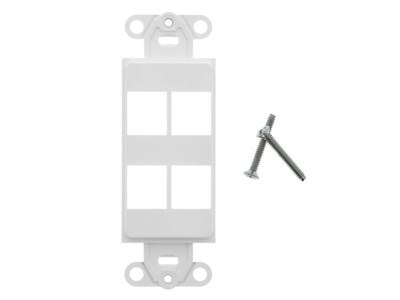 The rugged Networx® decorex faceplate inserts are compatible with all Networx® 180° keystone jacks in addition to most other name brand keystone jacks. 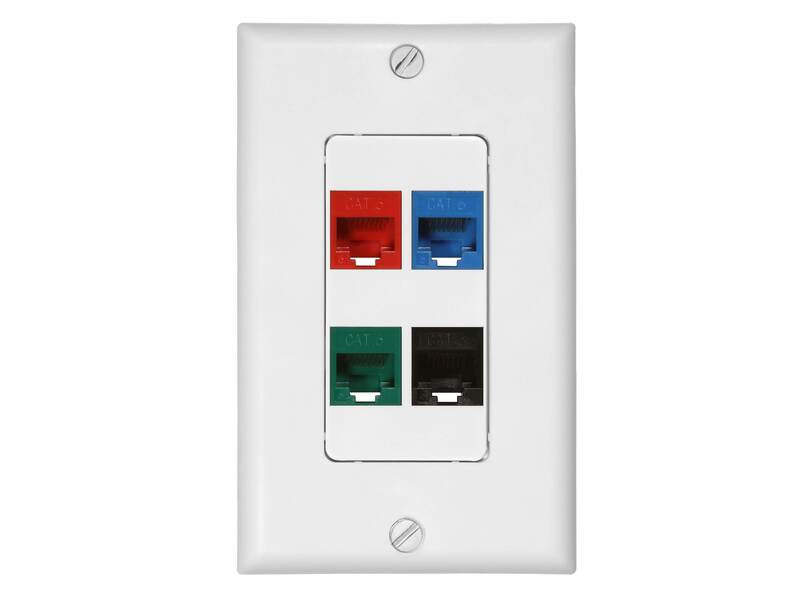 Neatly and easily snap-in any variety of data, voice or audio video keystones to provide onsite custom configurations. 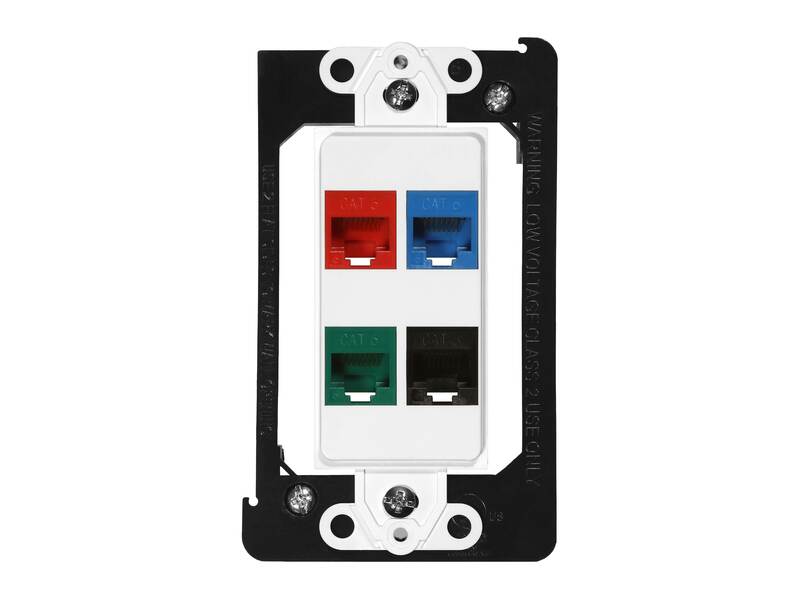 Networx® decorex faceplate inserts provide the polished finishing touch for any network installation while maintaining quick and easy access in the future.